Apple Park: Here's what you need to know about the Apple park. Apple Park: Here’s what you need to know about the Apple park. Officially named Apple Park, Apple’s newest Cupertino headquarters has been 11 years in the making. Steve Jobs started the project in 2006 and formally introduced the idea to the Cupertino City Council in 2011. Steve passed away that very year. But, as he himself would wholeheartedly agree, his vision outlasted his body. The next few years saw meticulous planning and heavy construction on the 175 acre campus. The park is estimated to be worth nearly $5 Billion after it is completed. 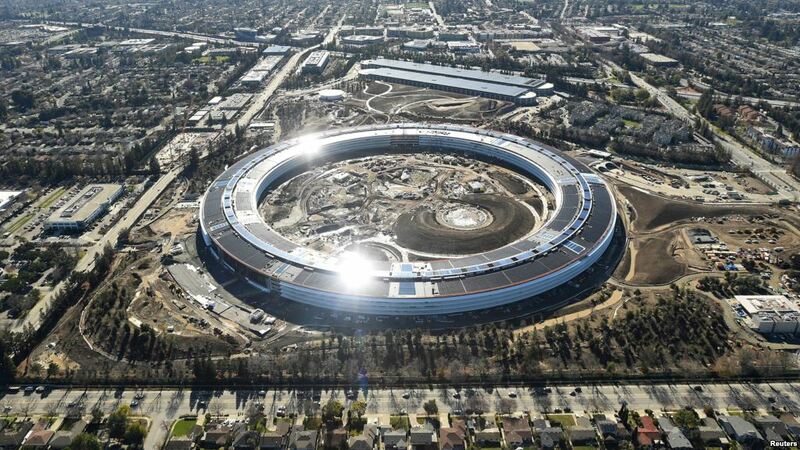 The Apple park has one of the largest footprints of any buildings on the planet- larger than even the Pentagon. However, the Pentagon has almost twice the almost 13000 employees within its confines. So, what does Apple plan to do with all that space? Chances are you have already seen renderings or a few drone videos of the Apple park if you are as excited about it as I am, and if you have, you will have seen a lot of vacant space. Part of it is because the drought-resistant trees that have been planted around the circumference of the park will take time to bloom into greenery. Consistent with Apple’s and Steve’s obsession with detail, the Apple park’s “wow-features” list is a bit long. For example, the curved glass railings on the inside of the park are all ever so slightly slanted to prevent glare. The auditorium that is to house all of Apple’s future keynotes has around 930 seats and each one of them costs $14000. The door handles were handpicked by Johny Ive and co so that they don’t show any nuts or bolts. The lifts revolve as they go up/down and the Steve Jobs theater stands without a pillar in sight. As you can imagine, with so much to tell about the new campus, Apple is as eager as we are to know about it. And so, the new visiting center at the park will have virtual tours and walk-throughs ready to be viewed on iPads. There is a 100,000 square feet fitness center and a two story yoga room. The hundreds of bikes that are kept within campus are a welcomed inclusion as walking from one end of the campus to the other will likely leave you late for that all important meeting. The park will be run from 100% renewable energy sources. Apple’s new home truly shows how Apple thinks as a company. The attention to detail and futuristic impulse that is apparent in every square feet of the campus is consistent with what comes out of the production line. I am reluctant to call this Steve’s last project, even though on paper, it perhaps was. Because, his vision is very much alive and evolving. The Apple park simply reinforces that.